Evaluating how quickly crop residue decomposes in your field is an efficient, affordable way to judge the health of your soil. Remnants of a previous crop often remain in a field for a year or more. This leaves the potential for detrimental diseases harbored in undigested residue to harm overall crop health and quality. But if quickly and properly digested, this residue also contains a wealth of nutrients that help build organic matter and improve soil composition. 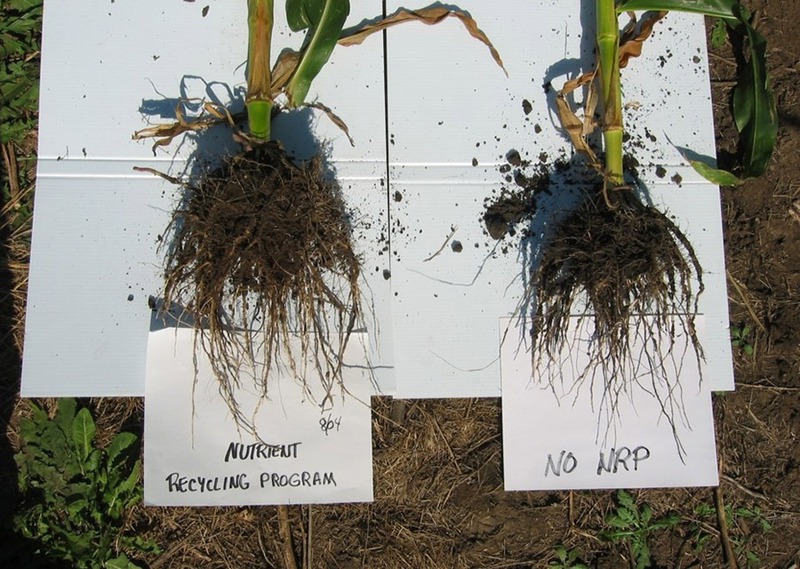 SOIL Service’s Nutrient Recycling Program (NRP) provides the tools your fields need to digest plant residue, paving the way for healthier, more productive soil. Our NRP should be applied in the fall or spring to help break down remnants from the previous crop. This program can be paired with most herbicide programs. Nutrapathic™ Soil Restore – Stimulates beneficial mycorrhizae to help break down large pieces of residue. Nutrapathic™ Liquid Bacteria Concentrate – Takes broken-down residue from fungi and reduces it further. Sugar E-Boost® – Stimulates bacterial feeding, leading to better residue breakdown. SOIL Cal® – Provides a soluble calcium source to aerate the top two inches of soil. Can help with nitrogen stabilization. If applying glyphosate with this program for burndown, do not use SOIL Cal. 28-32% liquid nitrogen + ammonium thiosulfate – Provides a nitrogen and sulfur source for the soil biology. Extremely important when breaking down cornstalks, wheat stubble, and rye residue. Ever wonder how much money is left in your crop residue? Consider a 200-bushel-per-acre corn crop. It has the potential to return approximately 85 lbs. of nitrogen, 32 lbs. of phosphorus, 220 lbs. of potassium, and 14 lbs. of sulfur to the next crop. At current fertilizer prices, this comes to approximately $117.95 worth of nutrients per acre left in your field for the next crop. A realistic expectation would be to utilize half these nutrients. Taking this into consideration, you have the potential to provide the next crop $58.98 worth of nutrients.